Mergify: How does a chameleon change colour ? Chameleons (Chameleon Zeylancius), a particular species of lizards, are well-known for their ability to change colours. Colour pigments, called chromatophores, are distributed on the upper surface of its skin. They have the ability to expand and contract. When they contract the colour disappears and when they expand, it appears. It is caused by hormones that affect the special pigment bearing cells in the skin. This phenomenon is governed by light, temperature, mood and emotion. But basically the change is controlled by an automatic nervous system. Hence the process of changing colour is said to be a psycho-physiological stimulus. It can change colour 6-8 times a day. The colour change has nothing to do with background nor it is protective as generally believed. In some forms, the basic colour is green or brown. It can change to yellow, black or white. Sometimes bands of these colours or spots are added. 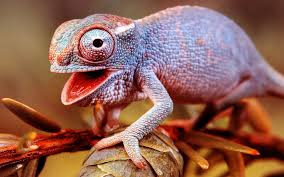 When excited, the chameleon develops brown patches and golden spots. When it is angry it develops a dark green colour. In the night it assumes a cream colour with yellow patches. 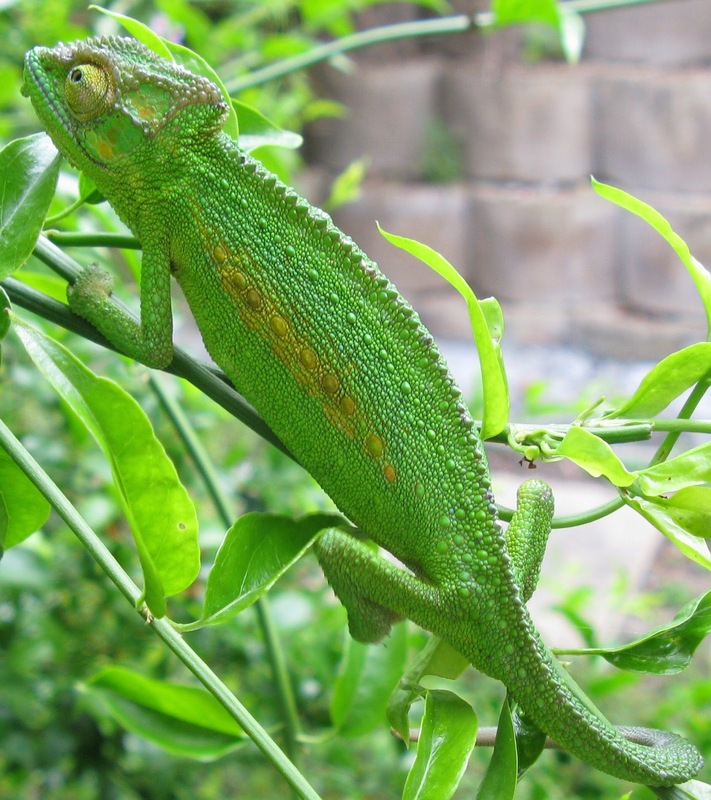 When the Madagascar male chameleon does not want to fight with a more aggressive male, it changes its green colour to white, showing that it is submissive and slowly disappears from the fighting ground. There are other animals also which can change their colour. Several fishes change colour within minutes. 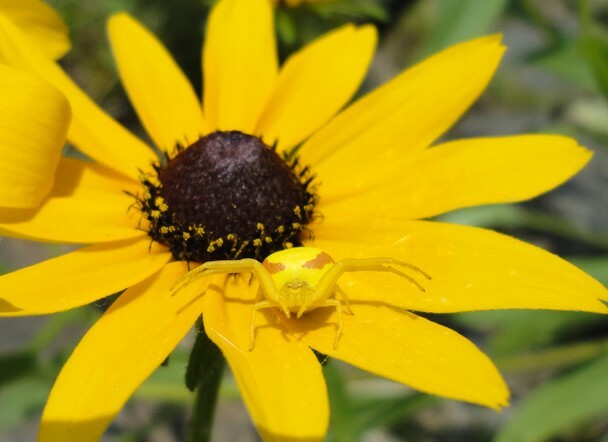 Flower spiders can change their colour to suit the background. Giant octopuses and cuttle fishes change their colour within fraction of a second. The change depends on the emotion of the squids' aggressive mood and alarming attitude. Gymnodactylus kotschyi is a reptile that changes its colour from black to pale brown, when excited, within minutes. Uro platus fimbrias, another reptile also changes from gray brown to dark brown and to black when excited. 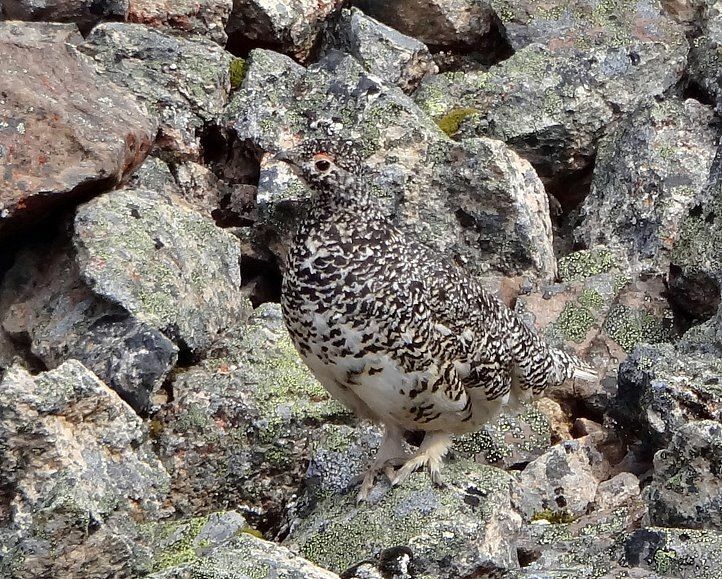 In birds, the white-tailed Ptarmigrana will have snow-white plumage during winter and brown plumage during summer to blend with the snowy and terrain surroundings.The snow-shoe rabbit, Lepus americanus, also changes the colour of its coat. During winter it is white and during summer it is brown. Certain hormonnes are said to be responsible for this change of colour. 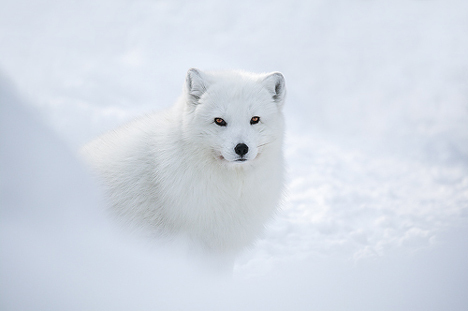 Arctic foxes can also change the colour of their coat from grey-brown to white. Thus, in most animals, the process is used for camouflage.